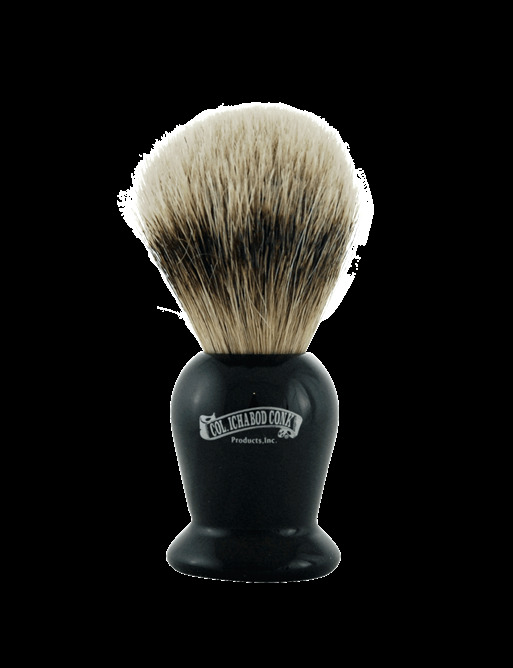 Spoil yourself with this full silver tip badger hair shave brush with faux ebony handle. Silver tip badger hair is the softest hair on a badger. It holds onto your warm water, to help you work up a great lather in no time. Plump handle it easy to grip.